We are governed by a board of Trustees. Lantern House is a registered Charitable Trust. No income or property of Lantern House may be paid or transferred, directly or indirectly to any trust member and no remuneration or other benefit is paid or given by Lantern House to any Trustee. The number of trustees on the Lantern House board can range from a minimum of three to a maximum of six. 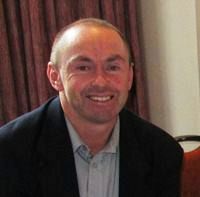 Andy Hay is the Chairman of the Trust and is one of the founding Trustees. Andy is the Manager of Bidfood Ltd in New Plymouth. Bidfood distribute food products in the Taranaki region. Andy is married to Sheri, who is also a Trustee. They have two children; Monique and Patrick. Monqiue has Dravet syndrome and is one of the first residents at Lantern House. Andy is an avid surfer! He enjoys socializing with family and friends, cuisine, travelling and watching Patrick play football on the weekends. Sheri Hay is one of the founding Trustees of Lantern House Trust. Sheri works in administration at Bidfood Ltd in New Plymouth. She is married to Andy, who is also a Trustee. They have two children; Monique and Patrick. Being parents of Monique, who has Dravet Syndrome with significant special needs, we have had a history of seeking the best opportunities for our daughter and have fought very hard to make sure Monique has the best quality of life possible. Sheri enjoys swimming and like Andy, also enjoys socialising with family and friends, cuisine, travelling and watching Patrick play football on the weekends. Bev has a Masters in Management and extensive experience in commercial business initiatives and social and environmental enterprises. 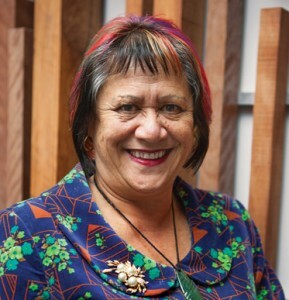 She presently holds governance positions with Parininihi Ki Waitotara Committee of Management, Chair of the HR PKW Committee, Chair of Mahia May A What Trust and is a member of the Lottery Taranaki Community Committee. Bev is also a registered nurse and has a professional background in nursing, education, management and is a qualified health auditor. Bev comes from an entrepreneurial family and is a managing direction of her own consultancy business. 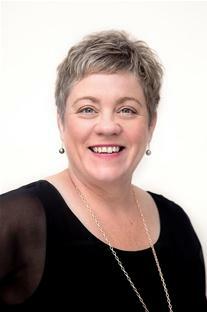 Bev is also a member of the New Zealand Institute of Directors. Julie was appointed a Trustee in October 2012. She is born and bred in South Taranaki, living on a dairy farm near Kaponga with her husband, Roger who is also a Trustee. Julie has been working as a Real Estate Agent at First National Mills & Gibbon since 2015. She is involved in various community groups and board of trustees. Julie is passionate about supporting those with very high need disabilities, and their families, in our community and the contribution she can make to Lantern House Trust. Julie and Roger have four children; Lauren, Jordyn, Mitchell and Hannah. Mitchell was born with Cornelia de Lange syndrome and is the reason they joined on as Trustees to help strive to give Mitchell a life that was as full and active as possible within his own community. Roger's interests outside of work include squash, rugby, touch rugby, jet skiing and tractor pulling!